Today I made a start on building some bases for my two metalworking vices. 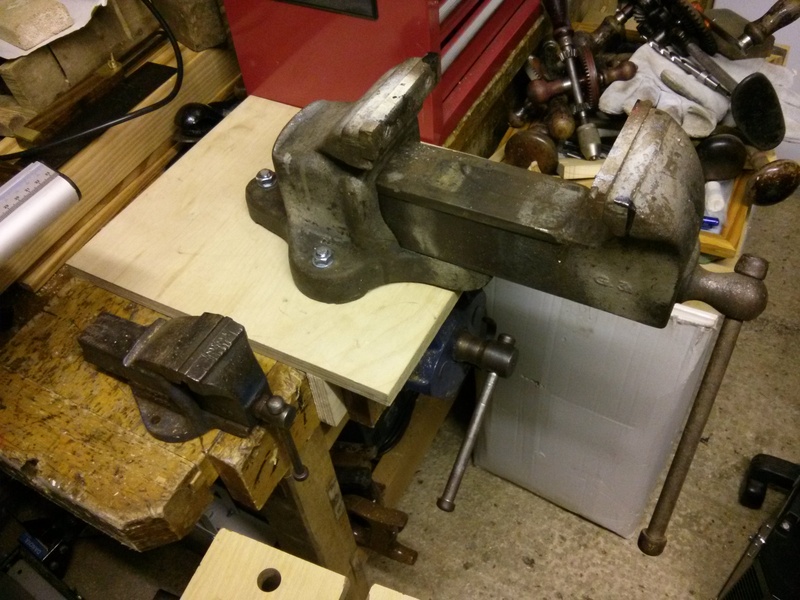 The intention is that each base will have a cross member underneath which can be clamped in the woodworking vice on my larger bench. 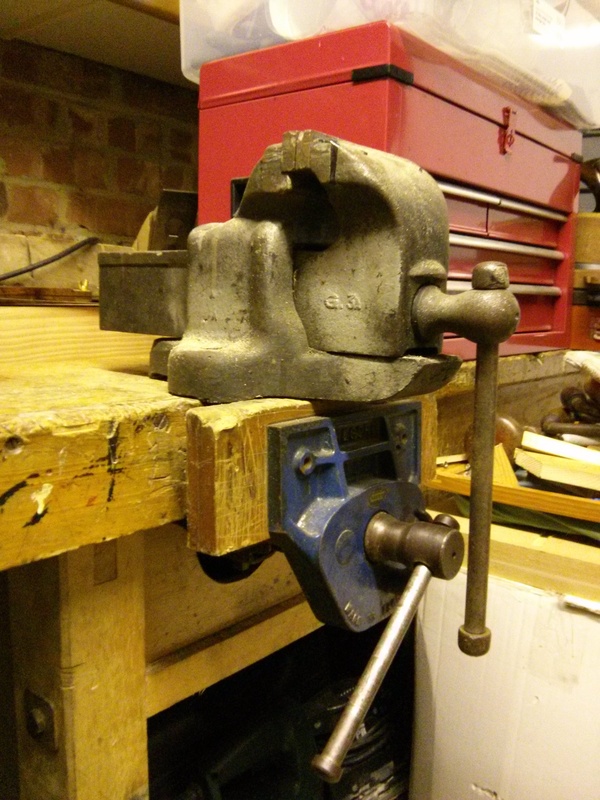 They’ll also incorporate a low tray around the vice to (hopefully!) catch any metal filings and protect the bench. The obvious candidate for the trays was an offcut of 18mm birch ply that’s got a bit grubby I’ve been using as a makeshift table in the workshop. After a bit of mocking up I came up with a way of getting two trays and cross-members from the offcut. I relied on having previously set the stops of the mitre gauge and they turned out ok.
Having spread some weatherproof glue with a disposable glue brush I clamped the 3 sides to the base using my Axminster F-clamps. 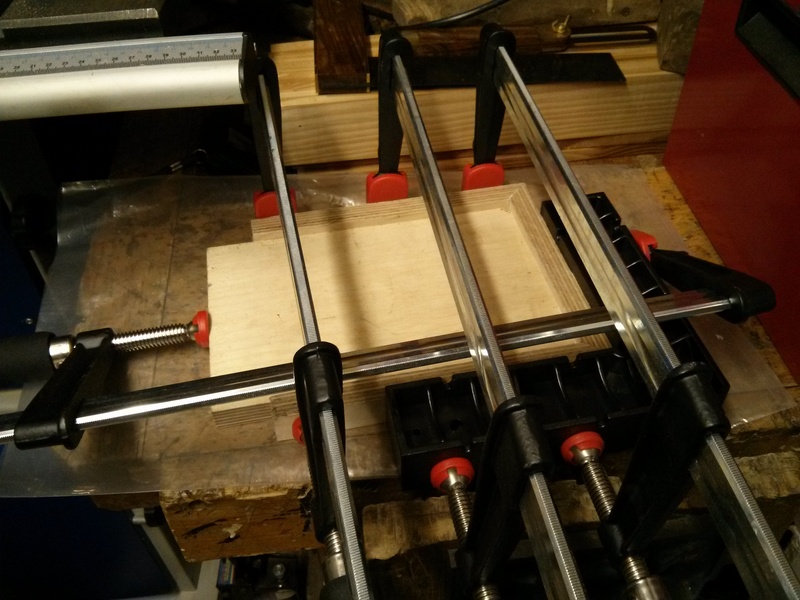 I used a Clamp-it square on the outside to help stick the out layer of birch down where it had de-laminated. While this dried I made a start on the larger base. 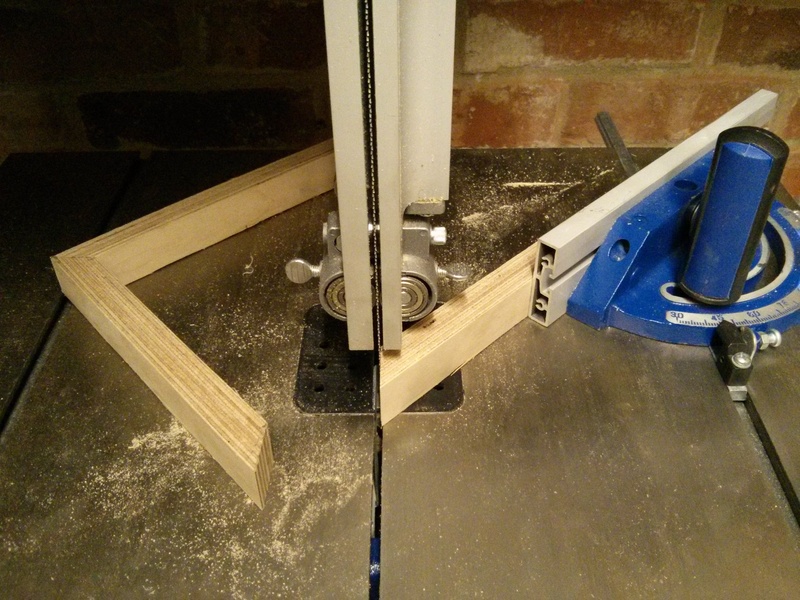 I decided that this would be an ideal first project for my Kreg pocket hole jig. 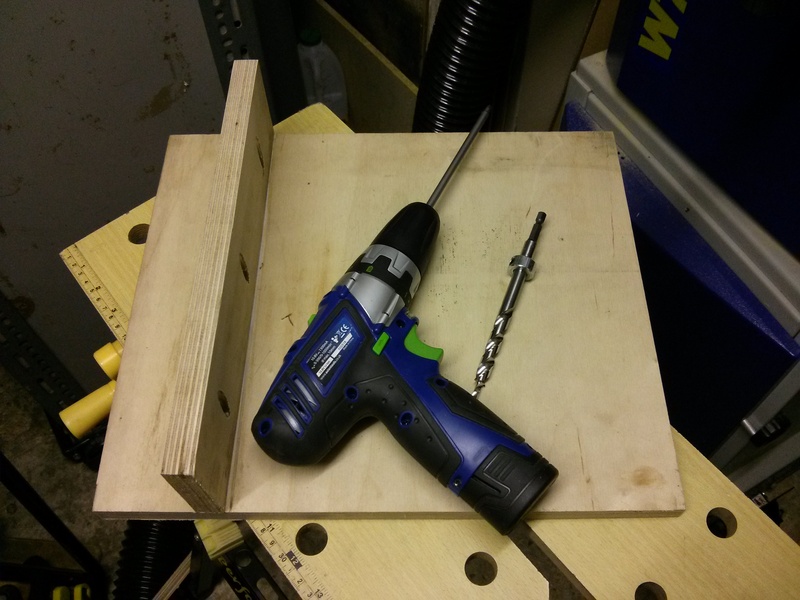 I figured drilling from both sides of the crossmember would add maximum strength to the glue joint and as it’s only a workshop project it doesn’t matter what it looks like. I did try using the right angle clamp to hold the crossmember in place while I was fitting the first screws, but the joint was slippery with glue and the cross member ended up a little out of square. I’m glad this was only a rough workshop project, as I wouldn’t like to have found this out the hard way during a project where accuracy was important! 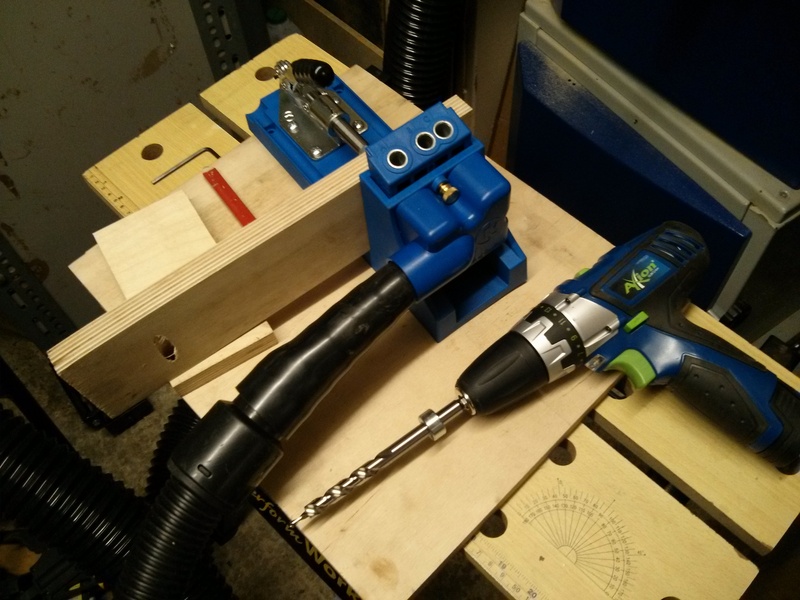 I drilled the 3 holes to mount the large vice onto the base with a 10mm forstner bit in my pillar drill. 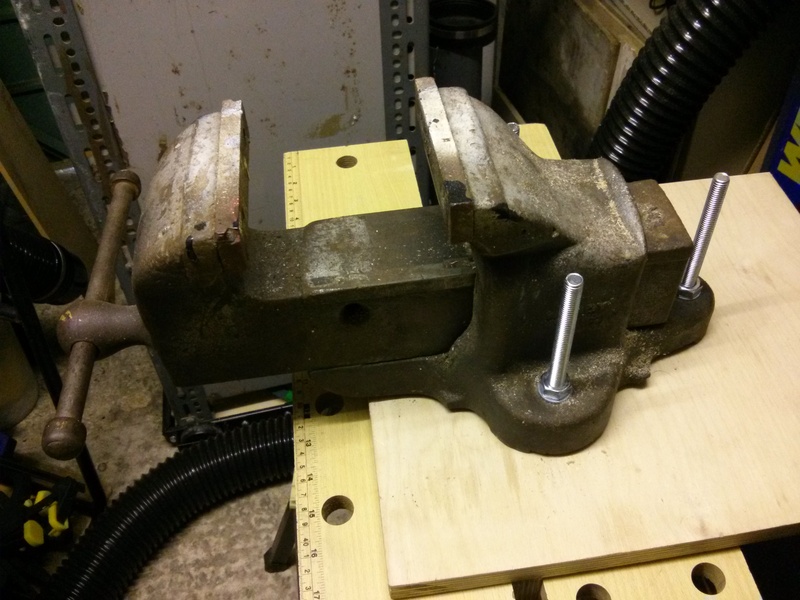 I also made recesses on the underside for the heads of the M10 coachbolts with a 25mm forstner bit, doing the first one incrementally then setting the depth stop on the drill for the subsequent ones. 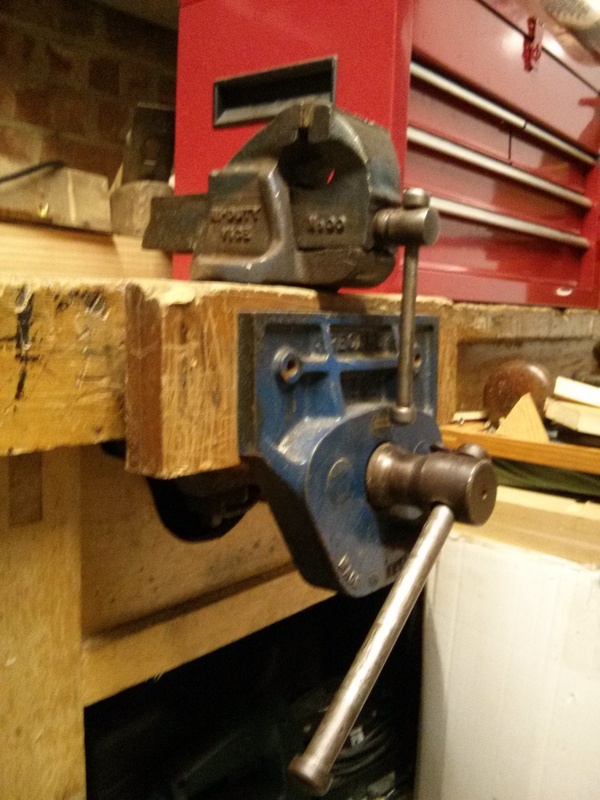 Initially I planned to mark the bolts after tightening them up to embed the coach bolts in the ply, then remove them for cutting, not forgetting to thread a nut past the cut to give me a sporting chance of having a useable bolt after the cut. 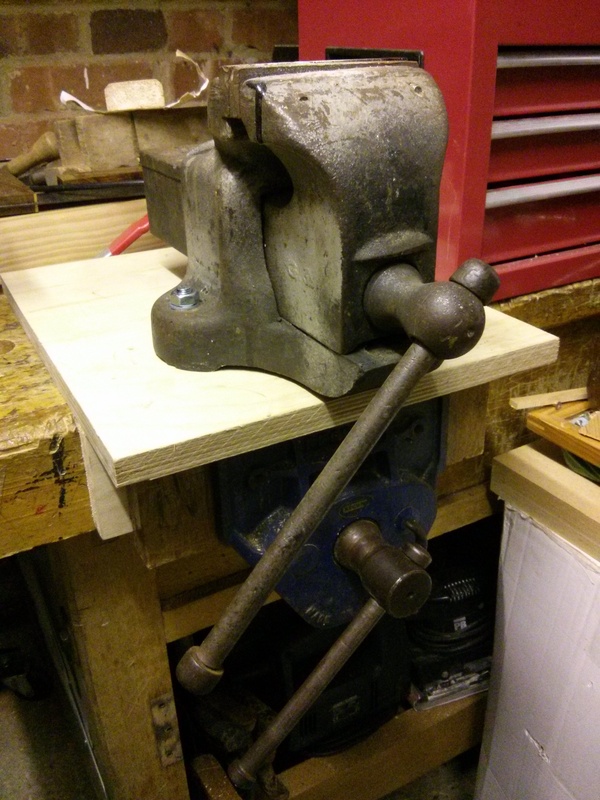 The base seems to hold the vice firmly on the bench even when it’s fully open, so I’m hoping it’ll work well. I’ll hopefully get a chance one evening to sort out some trim round the edges. 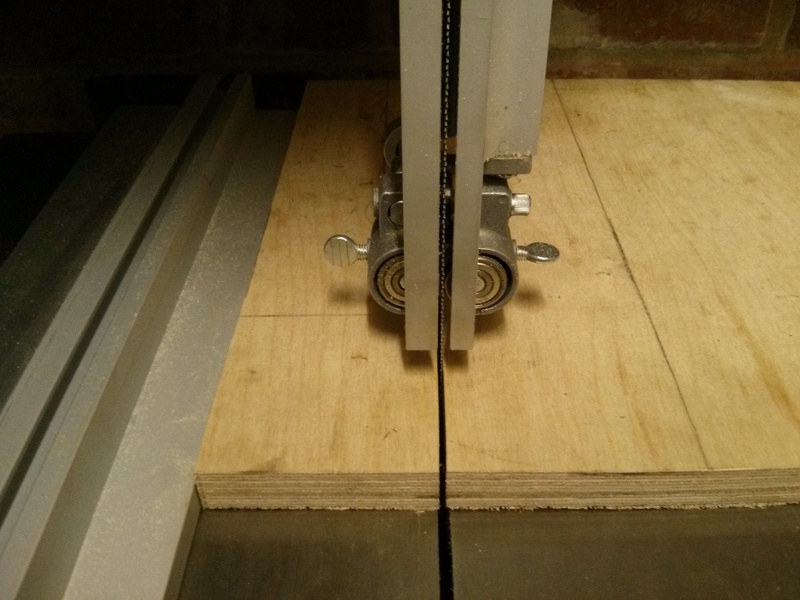 As I’ve not used any mechanical fixing for the strips round the edge of the smaller base I’ve left it in the clamps to give it the best chance. I still need to fix the cross member and mount the small vice to it before it’s complete. 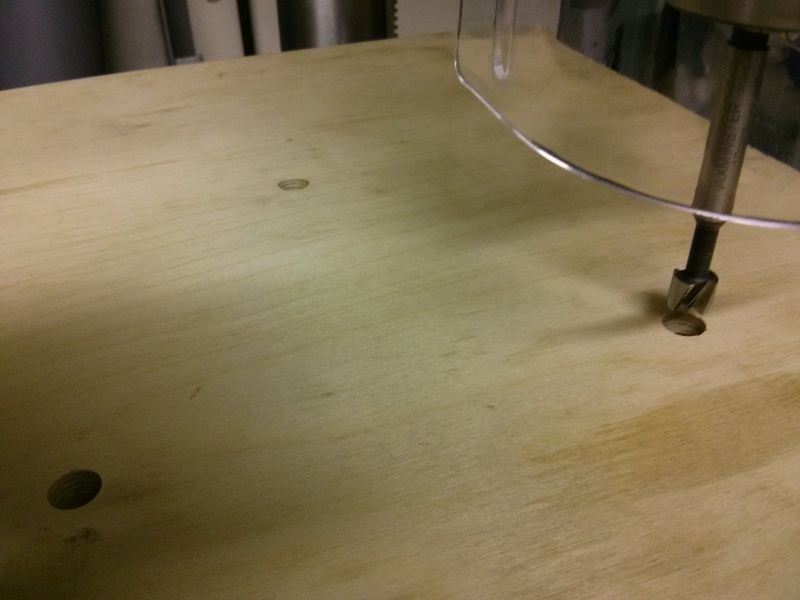 This entry was posted in Setting up shop, Tools, Vices, Workshop and tagged base, clamp-it, f-clamps, G.3A, G3A, Handy, Handy Model G. 3A, Kreg, Kreg K4MS, metalwork vice, mitre, Paramo, Paramo No. 00, tray, vice. Bookmark the permalink.